You may now send your medical certificate online instead of having it done on site. Acquiring a driving license would be a bit different from before, as applicants from the National Capital Region (NCR) and Davao (Region 11) may now submit their corresponding medical examination certificates online. Starting today, January 7, 2018, the Land Transportation Office (LTO) is only accepting electronically-transmitted medical examination certificates for NCR and Region 11. As stated under the Memorandum Circular No. 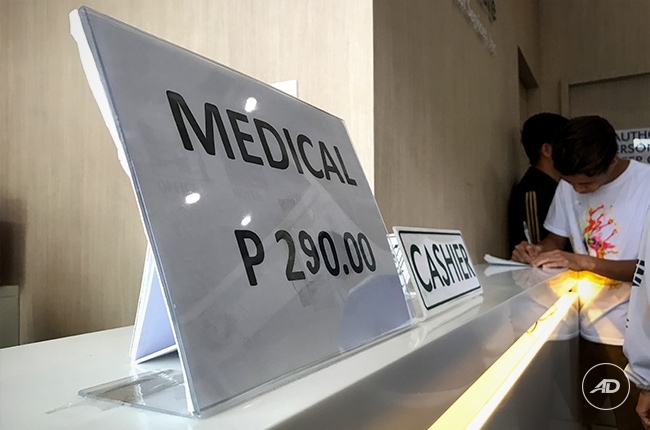 2018-001 on the Uniform Procedure, all LTO Licensing sites will now only accept online-submitted medical certificates. All documents will be directed to the LTO IT System. There are different schedules for the implementation of this new procedure based on regions. Regions 5A, 4A, 4B, and 7 will be on January 14; Regions 6, 9, and 12 are on January 21; Regions 1, 2, and 3 on January 28; while Regions 10, 8, CAR, and CARAGA on February 4. Physicians who are issuing or planning to issue medical examination certificates to driving license applicants are advised to go to their Regional Office and register. The specific time and venues will be determined by their respective regions. For physicians who wouldn’t be able to register prior the applicable implementation dates, checking of documents at respective LTO Regional Offices through their Regional Operations Divisions Head is a requirement. Imagine not having to line up just to renew your license. Like everyone else, we also do hope for that day to come, but who knows? With the Memorandum Circular No. 2018-001 as the beginning, we could be on our way there.